Why a Trip to Southeast Asia During Monsoon Is Actually Worth Doing? Travelling to Southeast Asia in monsoon season (roughly from June to October) may not sound like an appealing idea at first thought. But before you put off or cancel your trip, we are here to tell you that a trip to Southeast Asia during monsoon is actually worth doing. Here is why. 1. The weather is great - most of the time. Just because it's rainy season doesn't mean it rains all day and each day. And when the rains come, they often come in short downpours. The rest of the day is still warm and sunny. You will get blue skies too! When we had the company trip to Halong Bay last July, we found the weather was brilliant! 2. The temperature is cooler. Most parts of Southeast Asia experience hot temperature that can reach up to 40 Celsius degrees from March to May. When the monsoon season arrives, the moisture air from the ocean can bring down the temperature to 28-33 degrees. This can be cooling relief for both locals and travelers. 3. There are fewer tourists; hotel rates are lower and you probably don’t need to prebook. The monsoon season in Southeast Asia coincides with the low season in Southeast Asia, so you will see less tourists and enjoy lower hotel rates. Many hotels will drop their prices to attract the few tourists that are out there. Shorter queues, lower prices and more freedom can make you forget about the few rainclouds you encounter. 4. The landscapes are more scenic! The best thing about monsoon season is that, the landscapes are more scenic! The jungles, forests, and rice paddies are astonishingly green and the waterfalls are at their most spectacular. 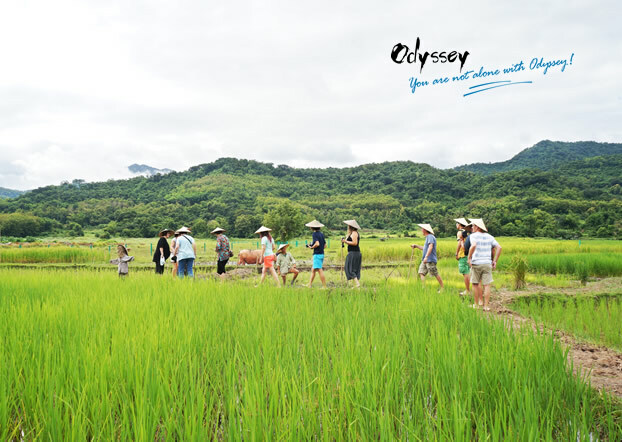 Green rice paddies in Laos and travellers coming to experience farming during monsoon season. 5. Dramatic sunrises, sunsets and rainbows. The monsoon season in Southeast Asia is a showcase of dramatic weather patterns - the sunrises,sunsetsand rainbows that arrive after thunderstorms can be some of the most dramatic ones you have ever seen. 6. The perfect time to slow down and relax. The monsoon rains will cool the air down enough for a great night's sleep, especially if it pours at night or late evenings. And when it does rain, it is the perfect time to slow down, relax and take it easy for a little while. Then when the sun comes back you can carry on with your day with a cooler breeze. 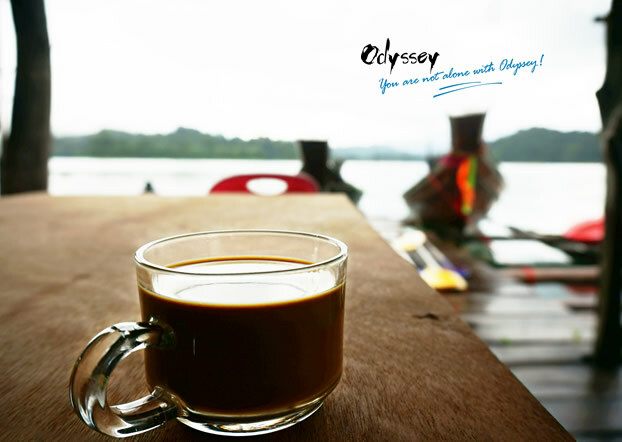 It's drizzling, let's sit down, sip the coffee and watch the drama unfold! Photo taken in Khao Kao National Park, Thailand. 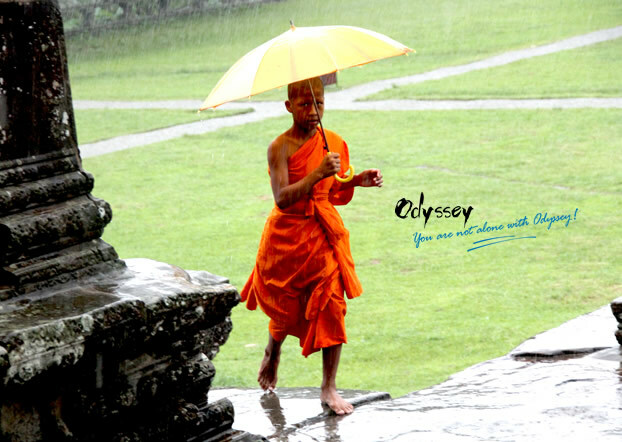 How the monsoon affects the destinations in Southeast Asia? In Thailand, some of the islands may get closed due to rip currents and typhoons. Boats to the islands run less frequently. In Vietnam, the historic town of Hoi An experiences yearly flooding. 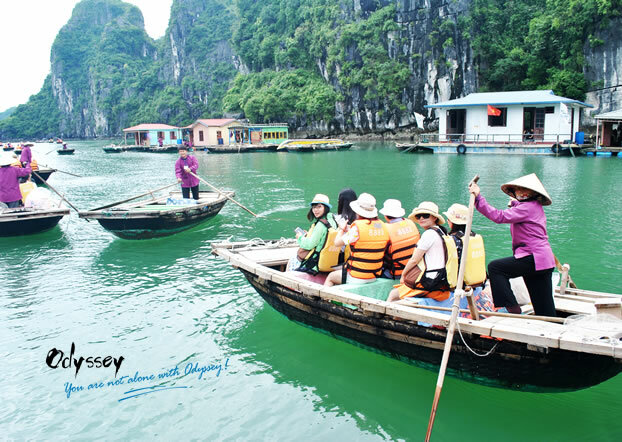 Tour boats in Halong Bay may get canceled sometimes during typhoon season (August-October). In Cambodia, places like the Angkor temples get benefits from the rains: the moats and pounds are topped up, and the lush greenery makes the temples feel more alive. In Vang Vieng, Laos, activities like river tubing could be banned during some rainy days. The waterfalls of Luang Prabang are especially spectacular during this period though sometimes swimming is not recommended when the water currents are very strong. Generally, the effect of monsoon is more clearly felt in Thailand, Vietnam, Cambodia, and Laos than countries located near the equator such as Indonesia, Malaysia, southern Philippines, and Singapore. 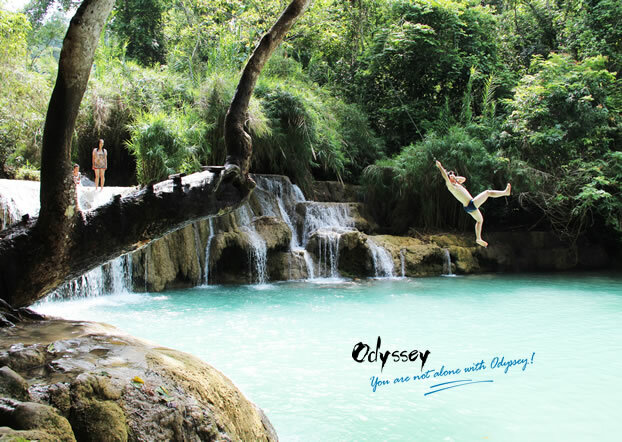 More often than not, you can still swim in the pools of Kuang Si Waterfall even in rainy season. 1. Find a tour operator that is flexible. Remember, this is the monsoon season - cruise ships, buses and planes can be canceled without further notice.  It is recommended to find a tour operator that is flexible and willing to make adjustment timely so that you can make the most of your time in SE Asia. 2. Bring plenty of mosquito repellent. Deet should be carried to repel mosquitoes. If you are a first-timer to Southeast Asia, here are more travel tips to read regardless of the season. The weather can be hot and humid, so wear lightandlooseclothings to keep you cool as well as to help you dry off quickly after a downpour. Don't let the monsoon put you off - its benefits far outweigh disadvantages. Now write to for a tailor-made trip to Southeast Asia and give us a social share!